"all is well", this was my tenth month of blood monitoring since my first set of infusions, from memory I've had two "please check with your Neuro" texts, they ended up being some blood in my urine...so nothing serious and no further action taken. I must admit though that getting the "all clear" text does make me feel a little happier each month lol. Even though the second course of infusions won't happen for about another two months, I am thinking about the risks and possible issues that can occur, no doubt this will be on my mind until the second set of infusions are finished. Luckily the second set is only three days as opposed to five days with the first set of infusions. I guess that also means I will have steroids for the three days as well, the steroids do seem to lessen the infusion side effects although sleep patterns aren't the most restful when on the roids. I'll be staying at the medi-hotel at the Austin Hospital, each morning it's just a short walk to the infusion room and then eight hours of boredom while Alemtuzumab and various other chemicals are pumped into my vein, yes eight hours of extreme boredom, it's probably the thing I despise most, the boredom! Hopefully, because it's only three days of infusions, the cannula can stay in for the full three days without a change, if I'm lucky...yes I like everything to go smoothly lol. The one good thing is that at least it's not a new experience like it was last year, I at least know how it all works and what happens with this procedure, so that's a bonus. I must say that the first set of infusions went very smoothly, I had a million questions for the poor nurse who was organising it all for me, so the questions should lessen a little. 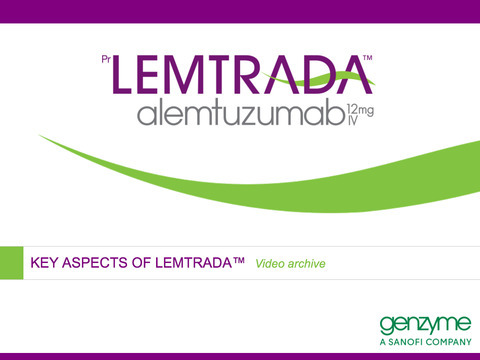 I still don't know the exact date that this second set of Lemtrada infusions will take place, but it should be around the end of October. Ok I'm a couple of days shy of two weeks, let's continue, the second course of Lemtrada Infusions went well, with no noticeable reactions or side effects, I'm thankful..., still it's early days after the infusions. Some of the side effects can show up months later.